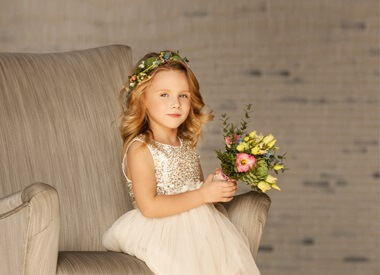 An adorable and elegant four piece outfit is the perfect ensemble for any young lady. The pink velour blazer has a button front and check flap pocket trim and check elbow patches. It comes with a gorgeous cotton blend blouse that has lace and velvet ribbon detailing, and a pleated lace bodice. with an adorable pill-box style hat with with check flower decoration to complete the outfit.